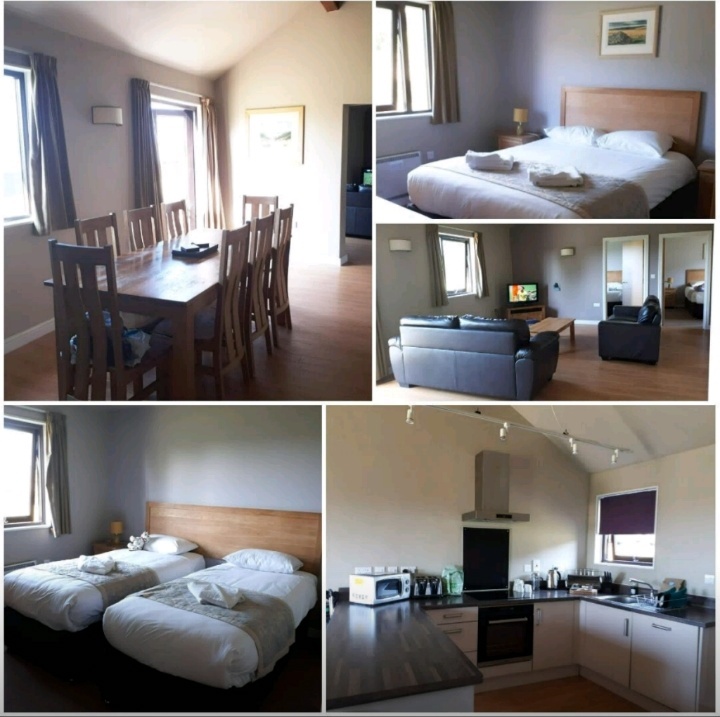 CherrySue, Doin' the Do: Bluestone National Park Resort Wales - Review! Getting to Bluestone National Park Resort is very easy, we took a Stena Line ferry from Rosslare to Fishguard and then it’s a short 30 minute drive to the Resort. I had read a few blogs about Bluestone before we went in an attempt to prepare and some of them described a mad dash scenario at check in, advising that you’d need to be there early to beat the crowds. It certainly wasn’t the case for us in July. Drive thru check in was fast, efficient and friendly; we checked in and were on the way to our accommodation in less than 5 minutes. It says a lot about the ownership and management style at Bluestone that they don’t call them staff they are members of their family, they even introduce you to some of their family members in the Village Voice a seasonal magazine about Bluestone that you receive at check in. We were staying in a Dinas lodge that sleeps 8. It’s a large open plan bungalow with a kitchen, dining room and sitting room in the middle complete with two bedrooms on either end. We had two sets of patio doors leading out onto an open plan back garden with two sets of tables and chairs for dining al fresco. They’ve a green ethos at Bluestone where they try to minimize their impact on the environment. Their liquid soaps are refilled by a local company; they’ve a dedicated nappy bin in each lodge and a few other eco friendly touches that I really appreciated. Our accommodation was spotless and equipped with everything we could have possibly needed bar a sweeping brush! We loved the open plan back gardens; the kids thought it looked like Tellytubby land with the gentle rolling hills. Stone Travel Tip: If you’re travelling in your own car let your kids take their pillows from home, they’ll fall asleep much quicker when they have them on holidays! I’d read about their buggies/ golf carts for hire at Bluestone and I was tempted as a lot of people said we’d need one but with a family of 8, including a newborn, we’d need two and then who’d hold the baby while we both drove a buggy each? So we decided to wait as see as my plan was to get the kids out for a walk each day rather than driving everywhere. 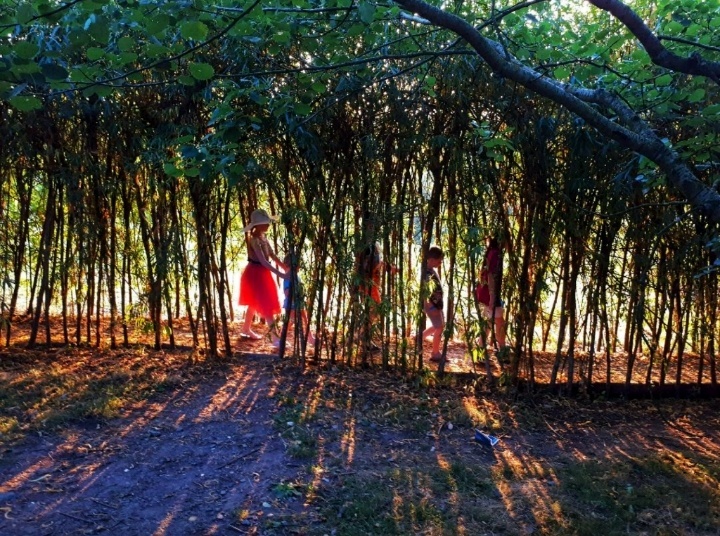 A lot of our holidays are on the go in big cities so it was fabulous get back to basics having the chats with the kids while we rambled about the resort. Bluestone have a regular free bus with stops throughout the resort we only used it once and that was just because the kids wanted a go as it was two carriages pulled by a Land Rover. You can also hire bikes at a reasonable cost. Stone Travel Tip: Give your kids the map and let them navigate your family through the resort. Busy little ones are never bored little ones. 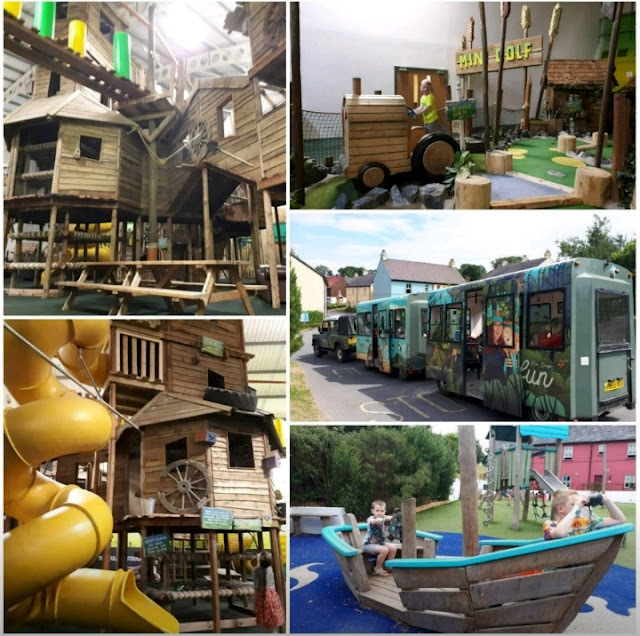 There’s a whole calendar of activities laid on each week at Bluestone, some paid extras such as tournament games, kayaking, sky wires and much more but a lot of them are free too like the indoor soft play area, mini golf and ball pool among other things in the Adventure Centre. We had booked and paid for the Ranger show on one of the nights but I was that switched off I totally forgot about it. I suppose it’s a testament to how relaxing Bluestone really is. We did make it to the family quiz in the pub in the village; I couldn’t believe it when we won. I got to take home a bottle of wine for my children’s efforts! On Thursday morning we had booked onto the guided historical walk of Bluestone, luckily we didn’t miss that. It was a brilliant experience for all the family. We learned lots about the history of Bluestone, Castle Coch and the surrounding land from Terry John their resident historian. He was fantastic and made sure to hold the interest of everyone on the tour. The Blue Lagoon is where we spent a lot of our time; the kids were in heaven with the flumes, wave pool and lazy river. We didn’t realise before we went though that we couldn’t go into the large pool as a family due to restrictions on the parent child/baby ratio. One of the adults had to remain in the baby pool at all times with either Lorcan or Oisín. It was a bit of a pain but we managed to switch back and forth so we both got to spend time having fun with each of the kids. There’s a reasonably priced cafe and a children’s game area upstairs in the Blue Lagoon. I felt it was a pity though that they had some nights with no activities while other nights, like the night we paid for dinner at Camp Smokey (the only night it’s on) we missed the free family show in the village. Stone Travel Tip: Bring a ball, kites, bubbles, Frisbee and other outdoor fun games for the kids to play out the back of your house at the end of the day or while you’re getting sorted to go out for the day. 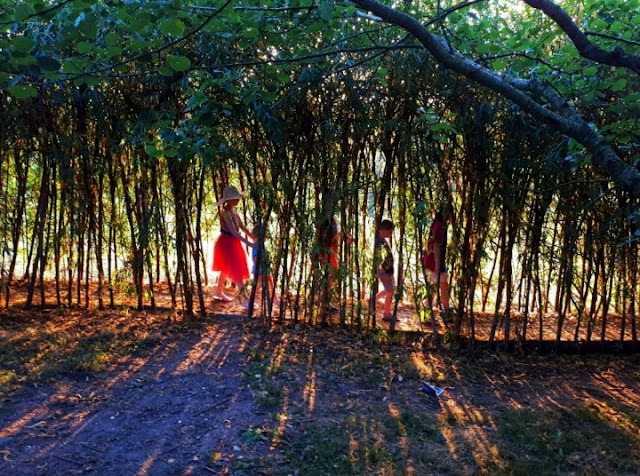 At Bluestone you’re spoilt for choice they’ve everything from a chipper to Camp Smokey where we spent our favourite night of the holiday at a Shindig. The onsite shop sells everything you could need for making your own dinner in your lodge and premade sandwiches perfect for picnics at competitive prices. The walk down to Camp Smokey is an adventure in itself as you have to switch back and forth along the walkway down the steep ravine. The kids were excited as they could see the campfire burning as we made our way down. We paid for a 2 hour dinner and show experience. We had an amazing evening laughing, singing and dancing. Our 3 year old Lorcan had to jump onto his chair dancing when the band started playing Dolly Parton 9 to 5 or 5 to 5 as he now calls it. It really need to be a bit longer though as my daughters were a bit put out that they didn’t get enough time to eat, they were enjoying their dinner when our table was cleared for dessert. Having said that it really made our holiday & I’ll always have great memories of that night, I 100% recommend it to anyone going to Bluestone. I’d go so far as to say I’d do it two nights if they had it on two nights and we would pay extra for a longer show. We paid £97.70 for dinner drinks were extra. Stone Travel Tip: If you want to bring food & supplies into Bluestone with you there’s a Morrison’s and a Tesco Extra 10 minutes away. There’s no shortage of things to do in the area around Bluestone. 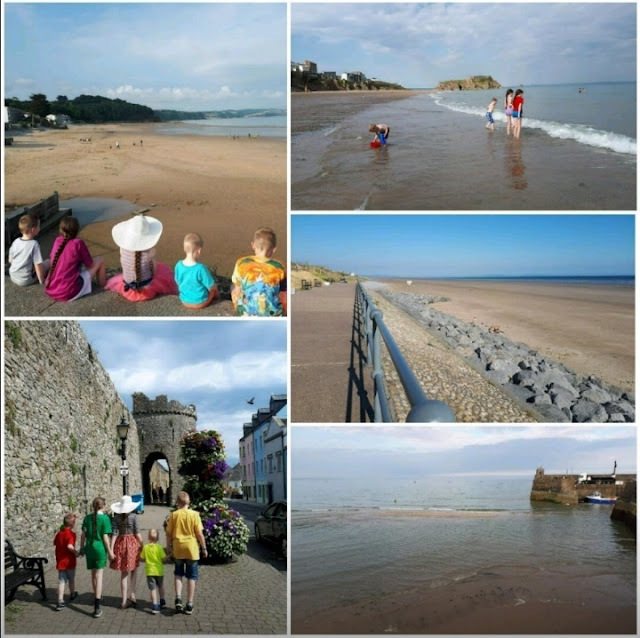 We took trips to local beaches at Tenby, Pendine and Saundersfoot. Tenby was by far our favourite. 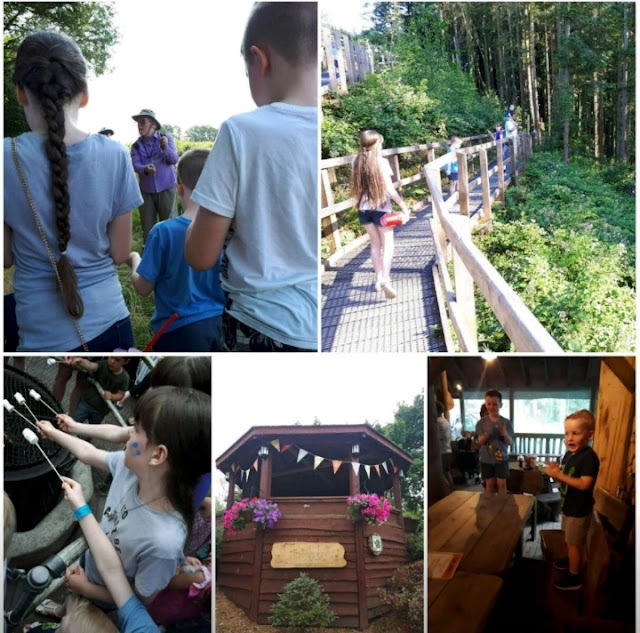 On the day we left Bluestone we spent the day at Folly Farm, it’s so much more than a farm. It’s a giant farm, zoo and funfair all rolled into one. We were the first to arrive and the last to leave. Stone Travel Tip: If you like fish and chips you have to try Park Road fish & chip shop in Tenby, it’s delicious. We had an absolute blast; the kids were only talking about it today. That’s what prompted me to get writing this review. Our little ones were out like lights each evening when we got back to our lodge. All that fresh air, walking and swimming really took it out of them. Bluestone National Park Resort is where memories are made and future holidays will always be compared to Bluestone. I definitely won’t hesitate the next time I think about booking. Bluestone holds fantastic themed events for Halloween and if you’re looking to get away from it all over Christmas they’re open for stays over the festive period including Christmas day. 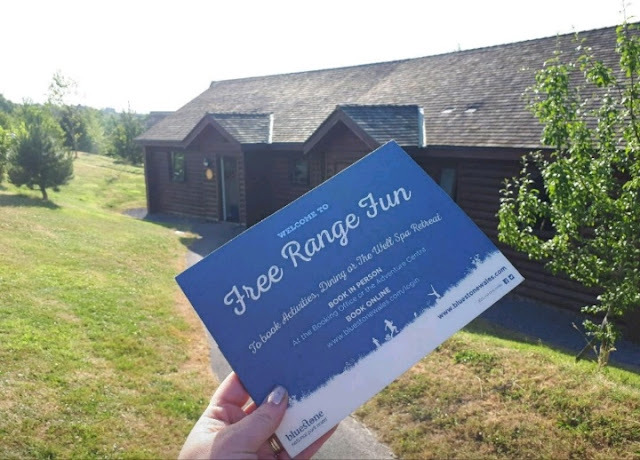 Stone Travel Tip: Sign up to Bluestones newsletter HERE as they regularly send fantastic special offers on accommodation and activities. 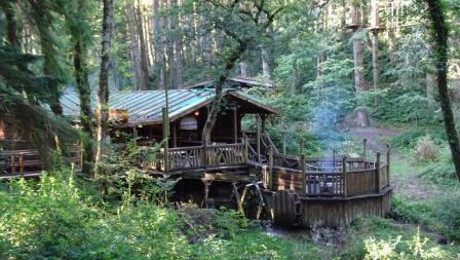 complimentary stay at Bluestone National Park Resort.